An American fur trader and businessman, John Astor used his profits from fur trading to invest in a wide range of business enterprises. By the time of his death he was the richest man in America. 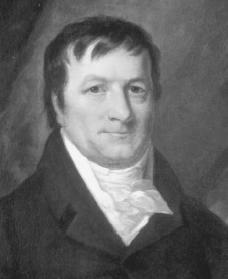 John Jacob Astor was born in Waldorf, near Heidelberg, Germany, on July 17, 1763. He was named after his father Jacob Astor, a poor but happy butcher. His mother, Maria Magdalena Vorfelder, learned to be very careful with the little money the family had (a quality she passed on to her son). She died when Astor was three years old. Despite the family's poverty, Astor received a good education from the local schoolmaster. When he reached the age of fourteen he went to work as an assistant to his father. He did this for two years before striking out on his own in 1779. Astor joined one of his brothers in London, England, where he learned to speak English and worked to earn money to pay his way to America. In 1783, after the peace treaty ending the American Revolution (1775–83; when the American colonies fought for independence from Great Britain) had been signed, Astor sailed for the United States to join another brother who had gone there earlier. The ship carrying Astor to America became stuck in ice before completing its voyage and remained there for two months. During this time, Astor met a German man on the ship who told him how much money there was to be made in fur trading. Astor finally landed at Baltimore, Maryland, in March 1784. Astor soon joined his brother in New York and began to demonstrate his talent for business. He worked for several furriers and began buying furs on his own. In 1784 and 1785 Astor made trips to western New York to buy furs for his employers, purchasing some for himself at the same time. He acquired enough furs to make a trip to England profitable. In London he established connections with a well-known trading house, signed an agreement to act as the New York agent for a musical instrument firm, and used his profits from the furs to buy merchandise to use for trade with the Native Americans. Not yet twenty-two, he had already proved himself a shrewd and intelligent businessman. Astor's early success convinced him that a fortune could be made in the fur trade. He began to spend more time managing and expanding his business. Between 1790 and 1808 his agents collected furs from as far west as Mackinaw, Michigan. The Jay Treaty of 1794, which led to the British leaving forts and trading posts in the Old Northwest, worked to Astor's advantage, and he expanded his operations in the Great Lakes region. Through an arrangement with the British Northwest Company, he purchased furs directly from Montreal, Canada. By about 1809 he was recognized as one of the leading fur traders in the United States. Following the Louisiana Purchase in 1803, which added land that contained part or all of thirteen more states to the union, Astor turned his attention to the fur trade in the Pacific Northwest. He obtained a charter (a grant of rights or privileges from the ruler of a state or country) for the American Fur Company and planned to establish a main fort at the mouth of the Columbia River, with sub-forts in the interior. His fleet of ships would collect the furs and sell them in China, where goods would be purchased for sale in Europe; in Europe merchandise could be bought to sell in the United States when the ships returned. Although the town of Astoria was established on the Columbia, the company's operations were unsuccessful. After the War of 1812 Astor renewed his efforts to gain control of the fur trade in North America. Through influence in Congress he helped win passage of laws that banned foreigners from engaging in the trade (except as employees) and that eliminated the government's trading post serving independent traders. By the late 1820s he had sole control of the fur trade in the Great Lakes region and most of the Mississippi Valley. This put him into direct competition with the Rocky Mountain Fur Company and British fur interests in the Pacific Northwest. However, by 1830 Astor's interest in the company had begun to decline. Through Astor's dealings in the fur trade he became involved in general merchandising. During the 1790s he had begun to import and sell a large variety of European goods. During this early period he showed little interest in establishing trade relations with China. Between 1800 and 1812, however, his trade with China expanded and became a large part of his business dealings in Europe. The War of 1812 temporarily disrupted his plans, but it also gave him an opportunity to purchase ships at a bargain price, since declining trade had made other merchants anxious to dispose of their fleets. After the war Astor had a large fleet of sailing vessels and again became active in the China and Pacific trade. For a time he was involved in smuggling Turkish opium (an addictive drug) into China but found the profits were not worth the risk and abandoned this venture. Between 1815 and 1820 he enjoyed a commanding position in trade with China. Thereafter his interest declined, and he turned his attention to other business activities. One explanation for Astor's success as a merchant was that he had the money to buy quality merchandise at a low cost and a fleet of ships that could transport the goods to markets more quickly than his rivals. Astor retired from the American Fur Company and withdrew from both domestic and foreign trade in 1834. He turned to other investments, including real estate, money-lending, insurance companies, banking, railroads and canals, public securities, and the hotel business. The most important was real estate. He had invested some capital in land early in his career. After 1800 he concentrated on real estate in New York City. He profited not only from the sale of lands and rents but from the increasing value of lands within the city. During the last decade of his life his income from rents alone exceeded $1,250,000. His total wealth was estimated at $20–30 million (the greatest source being his land holdings on Manhattan Island) at his death on March 29, 1848, at the age of 84. Haeger, John D. John Jacob Astor: Business and Finance in the Early Republic. Detroit: Wayne State University Press, 1991. Madsen, Axel. John Jacob Astor: America's First Multimillionaire. New York: John Wiley, 2001.